Parental control software is a must-have if you want to protect your children online. Internet is full of malicious websites and users, and if you want to ensure that your kids aren’t visiting harmful websites it’s always good to monitor and limit their online activity. There are many great tools that can help you with that, and today we’re going to show you some of the best parental control apps for Windows 10. What’s the best parental control software for Windows 10? Norton is famous for its security tools, but this company also has its own parental control software. This tool allows you to block harmful websites and monitor your children’s Internet activity. In addition to websites, you can see which apps your kids are using on their phone. If needed, you can block certain applications from running completely. Using Norton Family Premier you can see with ease what your kids are searching and prevent them from visiting malicious websites. The application allows you to set time limits or schedules so you can easily limit the amount of time your kids spend online or on their phone. Norton Family Premier can show you what your kids are doing online, and you can easily flag unsafe behavior. Using this application you can see what kind of videos your kids are watching and you can also keep a close eye on their SMS texts. If needed, you can also block certain contacts from texting. The application offers detailed reports and you can see the report of your child’s activity via email or by using the parent portal. There’s also a location tracking feature so you can easily monitor your child’s location at any time. Norton Family Premier works on Windows, Android, and iOS devices, and it’s a great tool that can help you protect your kids online. The application offers a 30-day free trial, but if you want to continue using it, you’ll need to purchase a one-year license. 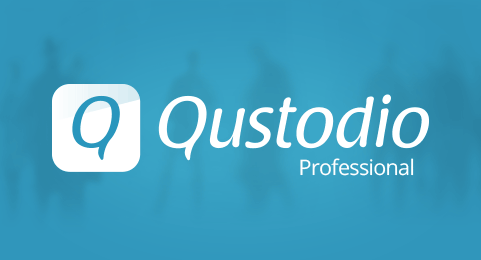 If you need a parental control software, you should check out Qustodio. The application has a simple interface that allows you to see how your child is using various devices, apps and the Internet. Qustodio has a real-time filter, so inappropriate content and websites are automatically blocked. There’s also an ability to block harmful content from search results. Qustodio also allows you to monitor time spent on social media websites such as Facebook, Twitter, Instagram, Whatsapp, etc. Of course, you can also monitor your child’s Facebook contacts if needed. We also have to mention that this application will send you alerts if any questionable activity occurs. With Qustodio you can limit how much time your kids can spend online. In addition to time limits, you can also set an Internet schedule. Speaking of limitations, you can set limits for games and apps or even completely block certain applications. The application allows you to see the list of calls and texts, and you can also read text messages. If needed, you can easily block specific contacts. Qustodio offers GPS tracking so you can easily see your child’s location in any time. In case of emergency, there’s a Panic Button that you can use to call for help. Qustodio is a great parental control software that will allow you to monitor your child’s activity on multiple platforms. The application works on Windows, Mac OS X, Android, iOS, Kindle and Nook. The Free version allows you to have one user and monitor a single device, but if you want to monitor more users and devices, you’ll need to purchase Premium 5 plan. Another great parental control software that we want to show you is K9 Web Protection. This application recognizes more than 70 different categories of malicious websites. The application forces Safe Search mode on all major search engines, so your child won’t be able to search for any inappropriate content. Using this tool you can set time restrictions in order to limit Internet, PC and mobile usage for your kids. You can also create custom lists with K9 Web Protection, and you can permanently block or allow certain websites. If certain websites aren’t permanently blocked, you can access them by entering your password. The application has a built-in anti-tampering feature, so your kids won’t be able to get access to restricted websites. It’s worth mentioning that this application has real-time categorization for new malicious websites. Thanks to this feature you don’t have to add new websites to restricted category manually. We also have to mention that this application offers detailed reports, so you can easily monitor your child’s web activity. K9 Web Protection might not be as advanced as other applications on our list, but it provides solid web protection. The application is available for Windows, Mac, iOS and Android, and it’s completely free for personal use. 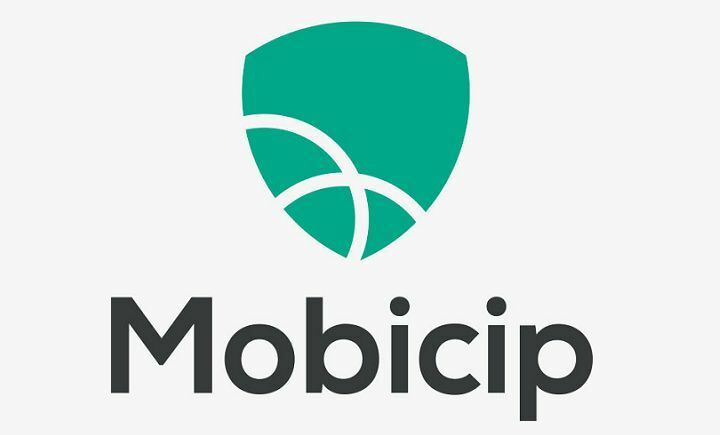 If you’re looking for a parental control software that can monitor multiple devices, you might want to consider Mobicip. The application works on iOS, Mac, Android, Windows and Chromebook. The software has a Monitor app that allows you to always keep a close eye on online activity of your children. Using Mobicip you can see which applications your kids are using at any time. You can also view detailed browsing history and get detailed reports via email. Even though you can block certain content, your child can ask you for access remotely. If you want, you can grant them access to that website or an application with a single click. Mobicip allows you to set time limits thus easily limiting the time your kids spend online. The application supports custom filters, and you can completely block certain domains. In addition, you can set allowed categories or even block certain phrases or keywords. It’s worth mentioning that you can manage multiple users and devices, which is especially useful if your kids have two or more devices. Mobicip is a solid parental control software and it offers great features in the Free version. If you want to unlock all features, you’ll need to purchase a one-year license. Protecting your children online isn’t easy, but if you’re looking for a parental control software you should check out Net Nanny. This application offers real-time filtering technology, so you can easily monitor and control your child’s online activity. Thanks to this feature, the software will check each page you visit, analyze it in real-time and act according to your preferences. The application supports multiple users, and you can set which type of content is suitable for every user. Net Nanny also supports time management, so you can easily limit the amount of time your kids can spend online. Simply set a schedule and your kids will be able to access the Internet only during the selected hours. It’s worth mentioning that this tool also has a profanity filter that will analyze web pages and censor any profanity. Net Nanny also allows you to monitor your kids’ social media activity. Using this app you can see all social media accounts your kids have and you can keep a close eye on all of them. The application monitors social networks for harmful language, and it can even notify you if it detects it. You can also monitor all videos and pictures published by your kids on social networks. In addition, the application can send you notifications in form of emails and text messages if any inappropriate activity occurs on social networks. Using Net Nanny your child can also ask for access to a certain website remotely, which is useful if you blocked that website by accident. This application is available for Android, iOS, Windows and Mac OS, and there’s even a web version available. Net Nanny is a solid parental control software, but it’s not free. The Basic plan offers protection for a single device, but if you need to monitor multiple devices you should consider purchasing a Family Pass. If you want to monitor your child’s online activity, you might want to consider Verity Parental Control Software. Using this tool you can monitor both online and offline activity. This application lets you block specific applications or websites, but it can also take screenshots at regular intervals. The software measures time spent in each application, so you can easily keep track of the most used applications. In addition, you can also keep track of all visited websites. Verity Parental Control Software lets you set time limits, so you can easily limit computer usage. In addition, you can set time limits for individual apps or websites. You can also set multiple profiles and special restrictions for each PC user. The application can measure number of keystrokes and clicks, and with its lightweight size it won’t affect your performance in any way. Verity Parental Control Software offers detailed usage reports that you can access using a protected web interface. In addition, you can receive reports via email as well. Verity Parental Control Software is a solid application, but it’s available only on Windows so you can’t use it to monitor your child’s mobile activity. If this isn’t a deal breaker for you, feel free to download and try this application. The application isn’t free, so you’ll need to purchase a license if you want to continue using it. 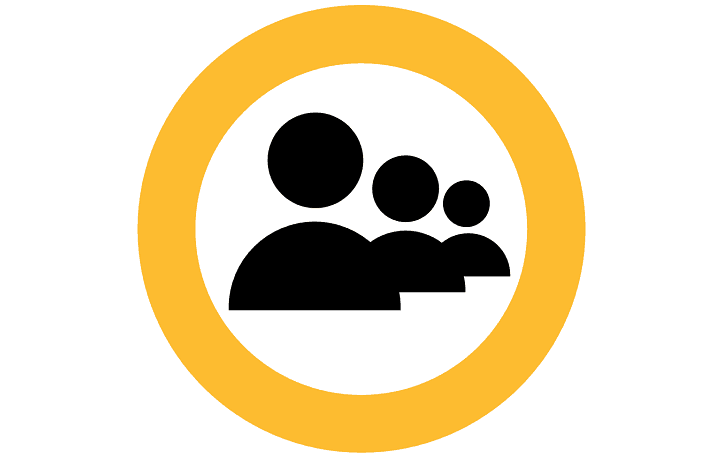 Another useful parental control software that we have to mention is Child Control. Using this tool you can limit computer or smartphone usage by setting time limits. After the time limit expires, the computer will automatically shut down. In case of a smartphone, your phone will display a lock screen thus preventing you from doing anything. If you want, you can set certain applications and websites to be accessible even after the time limit is exceeded. The application allows you to set daily, weekly or monthly limit, and you can set time limits for both websites and applications alike. There’s also support for extension time, so you can easily extend a certain time limit. The application also offers Web Filter so you can easily block harmful websites from appearing. If needed, your child can ask for website access via email. To keep track of your child’s computer activity, you can record screenshots by using this application. Child Control supports Multiple Device Counting feature that combines the time spent on multiple devices. This prevents the child from using their phone or PC after the time limit is expired. We also have to mention that using this tool you can completely block certain applications or websites. The application is highly flexible and you can restrict access to certain websites or apps only during specific time of the day if you want. You can also set specific time limits for each day of the week. Lastly, you can organize similar programs into groups and add limits to multiple applications simultaneously. 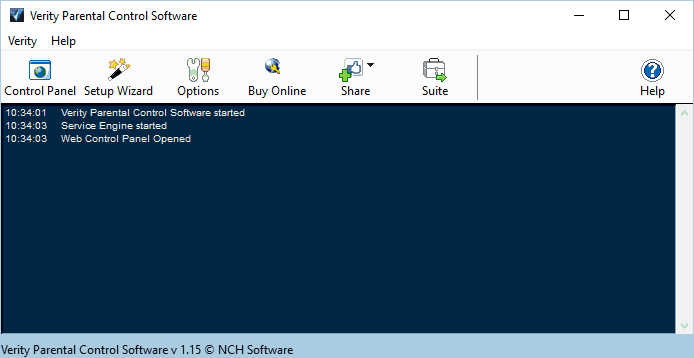 Child Control is a great parental control software, but it’s only available for Windows PCs. If you want to restrict your child’s mobile usage, you’ll need to download Chico Browser app for Android. Child Control offers free trial, but if you want to continue using it, you’ll need to purchase a one-year license. If you’re looking for parental control software, you might want to consider mSpy. This application is perfect for monitoring computer usage, and you can use it to monitor your children and keep track of their Internet activity. This tool can take screenshots of desktop in regular intervals so you can always see what your kids are doing. The application also has a built-in keylogger thus allowing you to see each keystroke your child enters. Thanks to this feature you can see what your child is searching online. In addition, using the keylogger you can easily monitor your child’s email or chat messages. The tool also lets you see how long was a specific user active during a computer session. Using this feature you can have detailed statistics regarding computer usage. In addition, you can also see which applications your children use the most. Using mSpy you can also see which applications are installed on the PC. With this feature you can easily see if a child installs potentially dangerous application on its own. This tool has a Web Mailer feature so you can see each received email. The feature works with popular web browsers and webmail services. In addition, you can also monitor Skype and keep an eye on Skype chats. It’s worth mentioning that this application is also available for mobile. mSpy lets you see all incoming and outgoing calls along with their duration and timestamp. In addition to calls, you can also keep track of all text and multimedia messages. mSpy for mobile also offers GPS tracking so you can keep track of your child at all times. Another feature that you might find useful is the ability to monitor Internet usage. With this feature you can easily view all visited websites and browsing history. The tool allows you to block harmful websites so you can be sure that your child can’t visit them. The mobile version also allows you to read messages received or sent via WhatsApp, Viber, Snapchat, Telegram, and other instant messaging software. With mSpy you can also choose which applications your children can use on their phone. If you want to block a certain application completely, you can do that in a matter of seconds. mSpy also allows you to view all videos and photos that are saved on the phone. All pictures and videos are uploaded directly to your mSpy account so you can view them at any time. Mobile version also offers some level of remote control and you can easily remotely lock or erase data from the phone. This feature is incredibly useful in case your child loses its phone. mSpy is a great parental control software, but we have to admit that the mobile version offers more features than its desktop counterpart. The application doesn’t offer a free trial, and it comes with monthly or yearly fee. If you’re in need of parental control software for your PC, you might want to consider this tool. The application offers Internet filtering feature that should keep your child safe from potentially harmful websites. 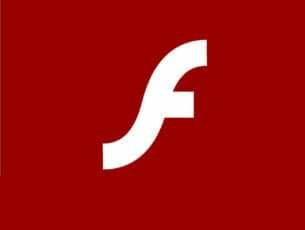 In addition to website blocking, this application can also block any application from running on your PC. SecureTeen Parental Control offers social network protection so you can easily monitor your child’s Facebook activity. The application has Friends Alert, Photo Scan, Timeline Scan, and Facebook Chat Monitoring features that will help you keep an eye on your child. This application also has time management feature, and you can easily limit your child’s Internet usage. We have to mention that this tool allows you to see your child’s web history at any time so you can easily check if your child has been visiting harmful websites. The application offers Safe Search feature so any harmful content will be hidden from your child. It’s worth mentioning that this tool offers Remote Management so you can monitor and manage your child’s online activity using a remote control panel. Lastly, the tool also offers location tracking feature that allows you to know where your child is at any moment. SecureTeen Parental Control is a decent parental control software that allows you to monitor your child’s PC usage. The application is available for a free trial, and a one-year license works for three devices. Lastly, it’s worth mentioning that this application is available for both iOS and Android. 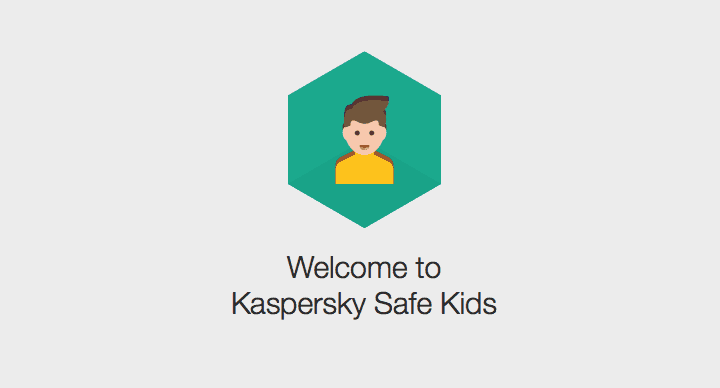 Another parental control software that we want to show you is Kaspersky Safe Kids. The application allows you to monitor your kids’ computer and Internet usage with ease. In addition, you can also choose the appropriate websites, content and apps that your kids can use. Using this tool you can easily monitor your child’s communication including incoming and outgoing calls and texts. You can even monitor their texting activity on their phone or tablet with ease. It’s worth mentioning that Kaspersky Safe Kids also lets you monitor your kids’ Facebook activity. The application allows you to view your child’s location at any time, but you can also set a safe area for your child. In case your child leaves the predefined safe area, you’ll receive an alert on your mobile phone. Kaspersky Safe Kids is a solid parental software, and the Free version allows you to manage Internet usage, apps and set time limits for your child’s devices. If you want to get access to all features, you’ll have to purchase the Premium version. It’s worth mentioning that the application is available for PC, Mac, iOS and Android. If you want to monitor your kids’ online activity, you might want to consider KidLogger. This application allows you to monitor your child’s web history and see all visited websites. This feature fully works with all modern browsers so you can see the complete browsing history with ease. If you’re concerned that your child is spending too much time on the PC or phone, you’ll be pleased to hear that this tool has a time tracking feature. Using this feature you can see exactly how much time your child spends on the PC. KidLogger also has a built-in keylogger feature that will record all keystrokes. Thanks to this feature you can monitor all text entered on the PC. In addition, the application can also record all text that is copied to the clipboard. 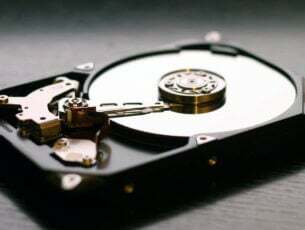 With this software you can also detect any USB flash drive, external hard drive or any other storage device. Thanks to this feature, you can easily prevent data leaking. KidLogger can also take screenshots periodically and upload them online. In addition, the application can also take a screenshot if a user enters a specific keyword. It’s worth mentioning that this tool records all used files and folders, so you can easily see the list of most used files. The application can also show you the list of most used applications, and you can easily block any harmful application with a single click. Message monitoring is also available, and you can view all messages sent over Facebook, Viber, Kik, Skype and other messaging apps. The application will also take screenshots every 15 seconds during a Skype call. We have to mention that this tool can send detailed reports via email on regular basis, so you can always keep a close eye on your child. This application is available for mobile platforms, and if you use it on mobile you can record all sent and received text messages. In addition to messages, you can also see the recipient’s name and phone number. Call recording is also available, and you can record all incoming or outgoing calls with this app. The mobile version has a built-in keylogger and there’s also an ability to view all photos stored on the phone. Lastly, the mobile version supports tracking via GPS or WiFi, so you will always know the location of your child. KidLogger is a great parental control software, and you can download and use the Basic version free of charge. Basic version lets you monitor only a single device, and it offers the most basic features. 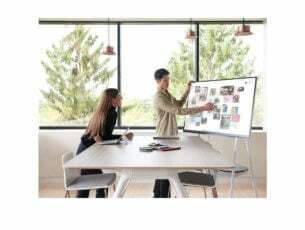 If you want to monitor multiple devices or get access to advanced features, you’ll have to purchase Standard or Professional package. 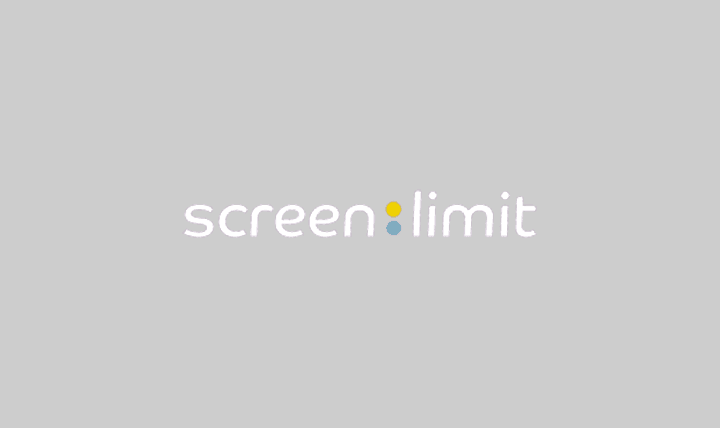 If you’re concerned that your child is spending too much time online, you should definitely try ScreenLimit tool. This application is available for Windows, iOS, Android and Amazon devices. Using this tool you can set time limits for PC and mobile usage thus ensuring that your child isn’t spending too much time on the PC. The application timer synchronizes with all devices your child uses, so there’s no way to circumvent time restrictions. The application even has a built-in countdown, so your child will always know how much remaining time is available. Using this tool you can also give rewards to your kids, which can be useful at times. The application is simple to set up and use, and even the basic users won’t have any issues with it. It’s worth mentioning that you can block potentially harmful applications with just two clicks. Of course, you can also set unlimited access to applications if you want. There’s also support for schedules so you can easily keep your kids organized. We also have to mention that you can message your children directly using this app. ScreenLimit doesn’t allow you to monitor your kids’ online activity, but it’s a useful tool if you want to limit PC and phone usage. There’s a Free version with the most basic features, but if you want to get access to all features, you’ll need to pay monthly or yearly fee. There’s also an option for one off payment, so you don’t have to renew your license on yearly or monthly basis. If you want to monitor your child’s activity, you might want to consider WebWatcher. This application is undetectable so your kids won’t be able to find it and remove it. The application doesn’t appear in Task Manager or anywhere on the PC, so it’s almost impossible to find. WebWatcher supports remote monitoring thus allowing you to easily view recorded activity from any device. All recorded data is stored to your online account so you can view it from any location in a matter of seconds. The application will send you a notification when a certain word is typed or viewed on the screen. Thanks to this feature you’ll be sure to know if your child visits an inappropriate website. There’s also email protection that allows you to see all received and sent emails. This feature fully supports email clients as well as webmail services. It’s worth mentioning that this feature allows you to see the contents of the message as well as the recipient, subject and date/time. Since social networks are such big part of our lives, this application also lets you monitor social networks and instant messengers. The application can monitor both web-based chat and Facebook messages. WebWatcher also has a built-in keylogger, thus allowing you to see every keystroke your child makes. Thanks to this feature you can see everything your child searches online or every message that it writes. We already mentioned that this application can send you alerts when a specific word appears on the screen. To provide more context, the application can also take a screenshot and send it to you. Speaking of screenshots, the application also supports continuous screenshots so you can have a video-style playback of screenshots for selected applications or websites. This application can detect and highlight specific words so you can easily spot them in your report. WebWatcher keeps a track of website history thus allowing you to easily monitor your child’s Internet activity. We also have to mention that this tool can block almost any application from running. If your child is spending too much time playing video games or using any harmful application, you can easily block it with this tool. If you want, you can also set a time based schedule for apps. We have to mention that WebWatcher is also available for mobile devices. The mobile version allows you to see all sent and received messages, including both SMS and MMS. In addition to messages, you can also see the list of calls. Additional information such as time, call duration and phone number is also available. The application also allows you to see all photos that are stored on the phone. We have to mention that this feature supports both downloaded pictures and pictures created by camera. This tool also supports GPS location feature so you can keep track of your child’s whereabouts at all times. Lastly, you can view the list of installed apps, so you will always know what kind of applications your child has on its phone. WebWatcher offers wide range of features and it’s available for Windows, Mac, iOS and Android. The application doesn’t offer a free trial, so if you want to use it, you’ll need to purchase it first. Parental control software is the best way to protect your children online. Most parental applications aren’t free, and many of them have a monthly fee, so do your research before deciding to purchase a certain parental control software.